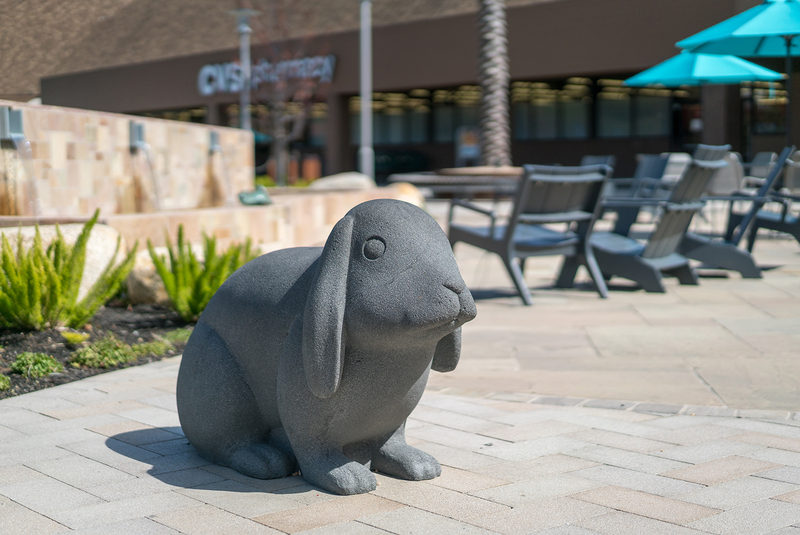 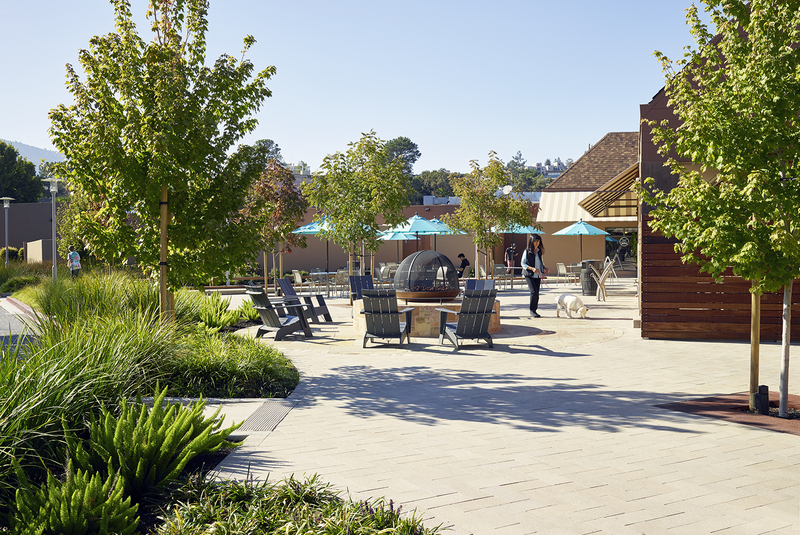 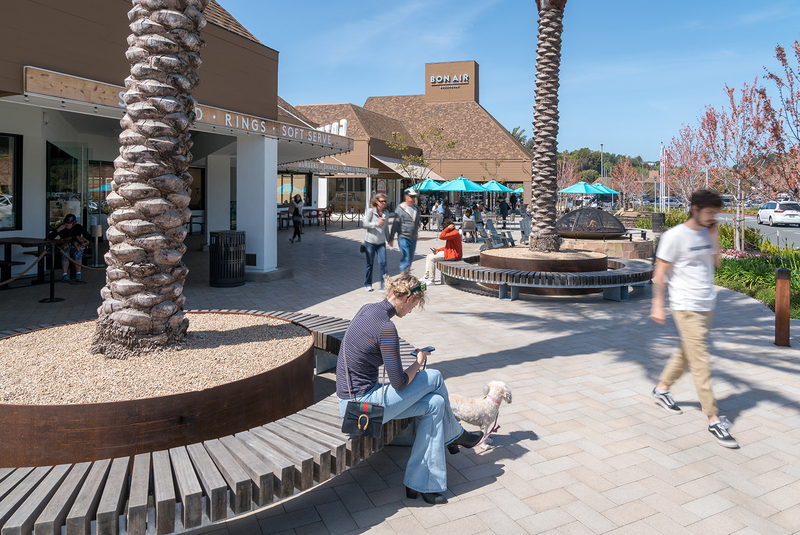 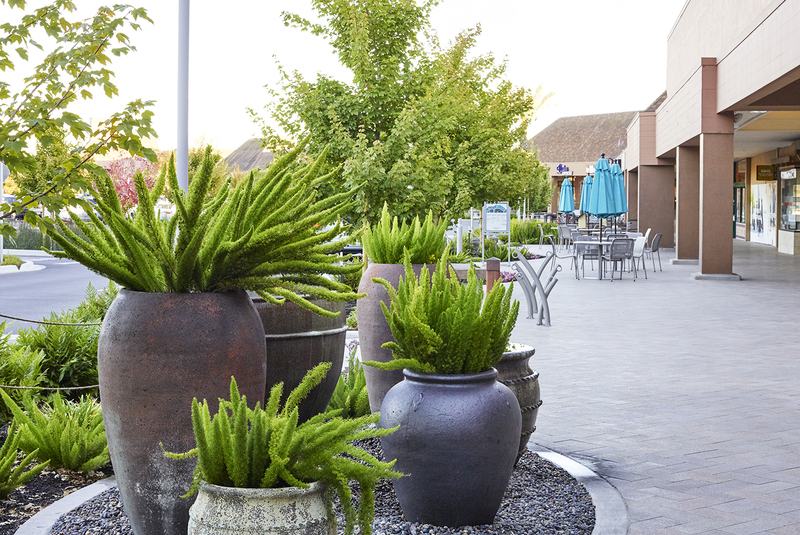 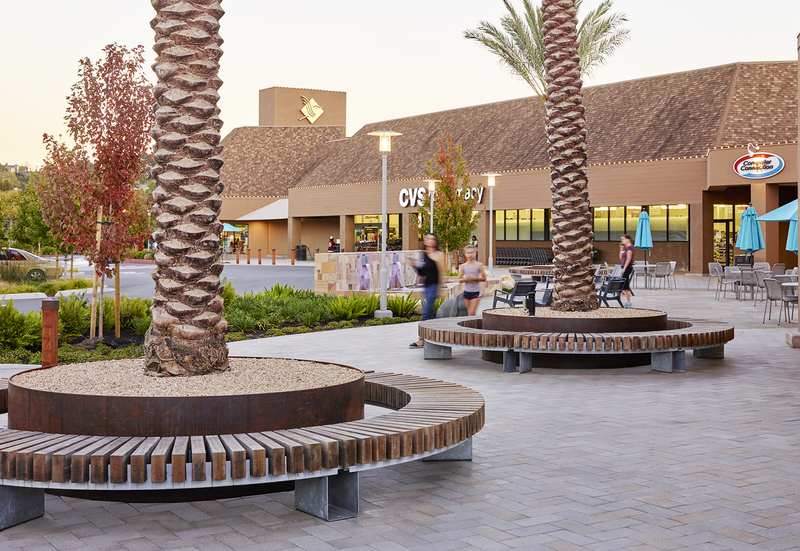 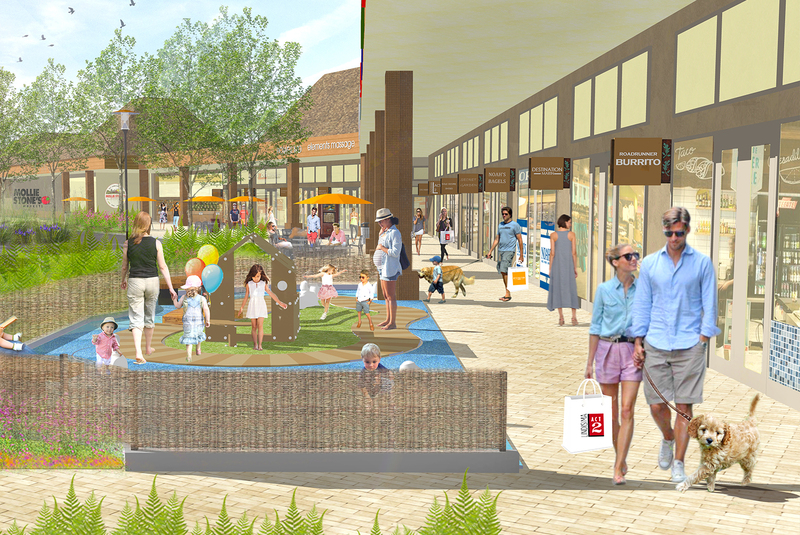 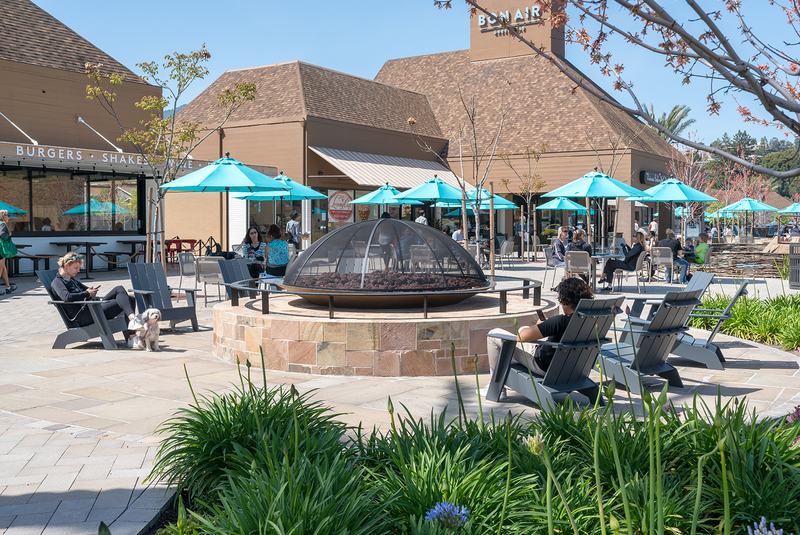 RHAA worked with Greenbrae Management to provide a refreshed design concept for the Bon Air shopping center in Greenbrae, California. 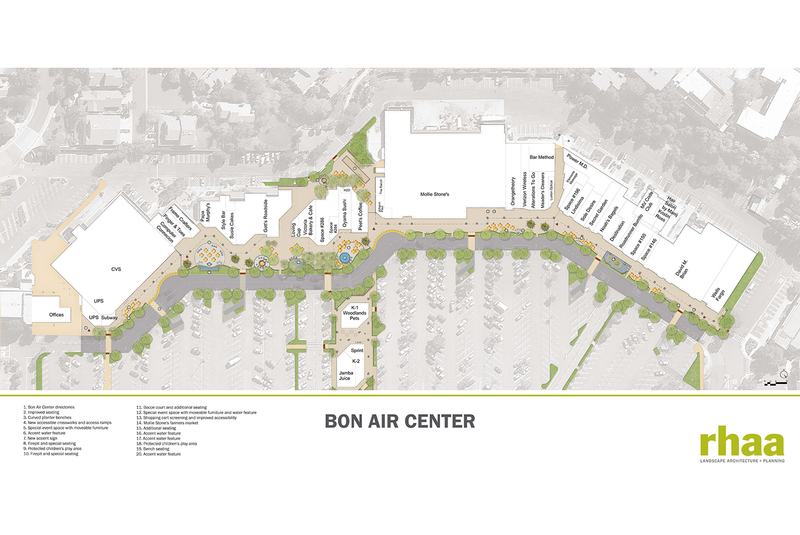 Bon Air is home to over fifty shops and restaurants and has been the neighborhood’s commercial and community center since 1952. 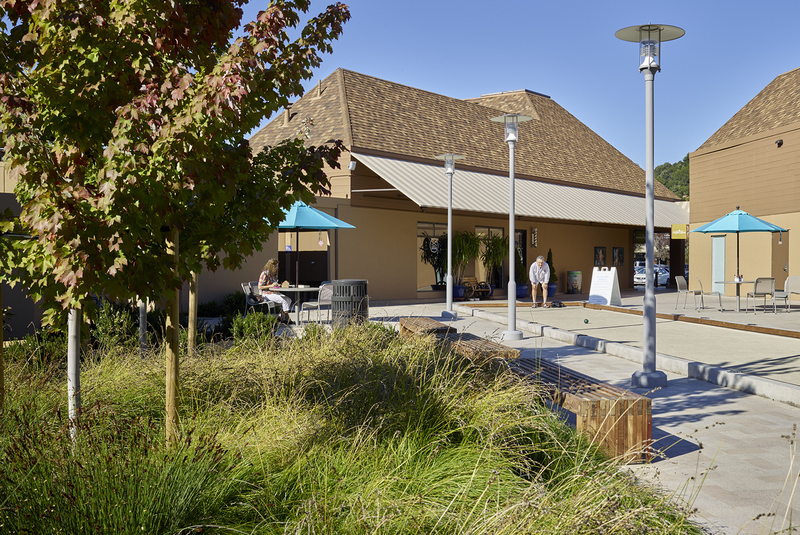 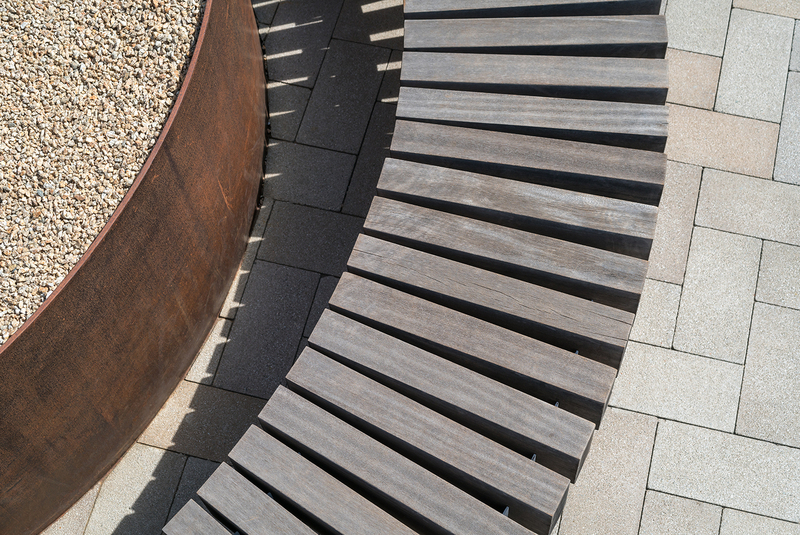 To re-enliven the space, RHAA aimed to reconnect the Center to its community. 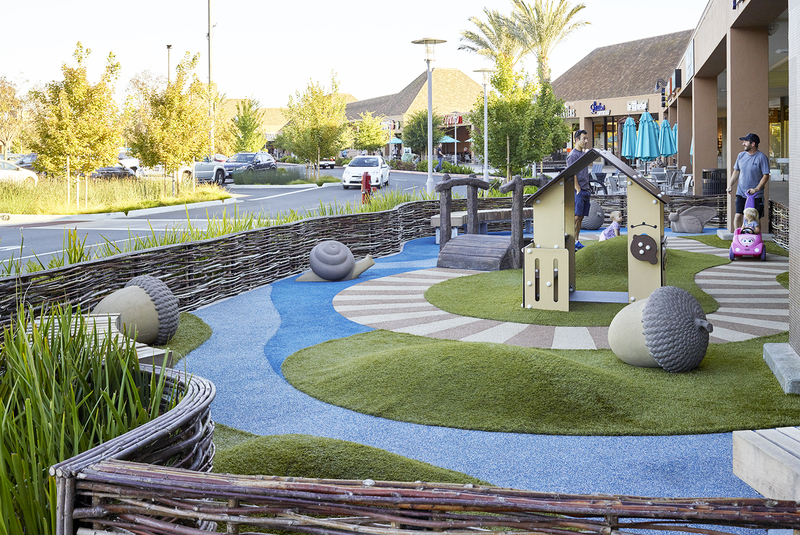 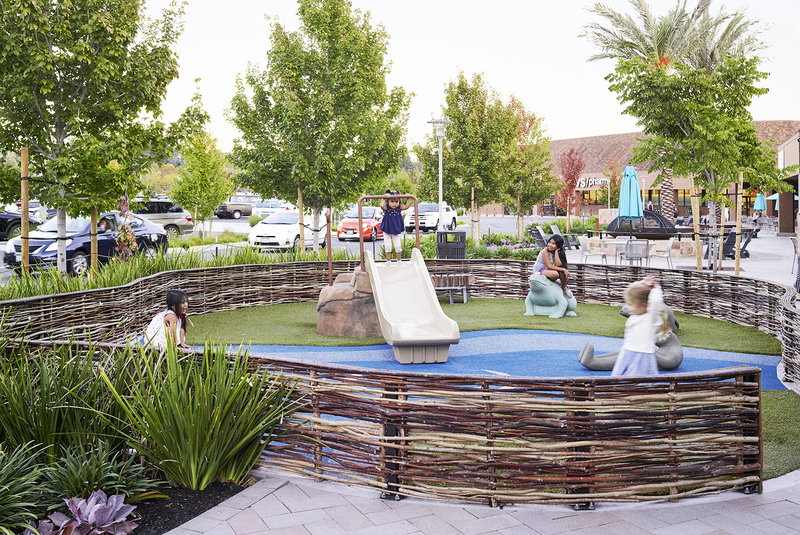 Drawing inspiration from the neighboring creek, a native plant pallet, artful water features, and creek-animal play features create the spirit of place. 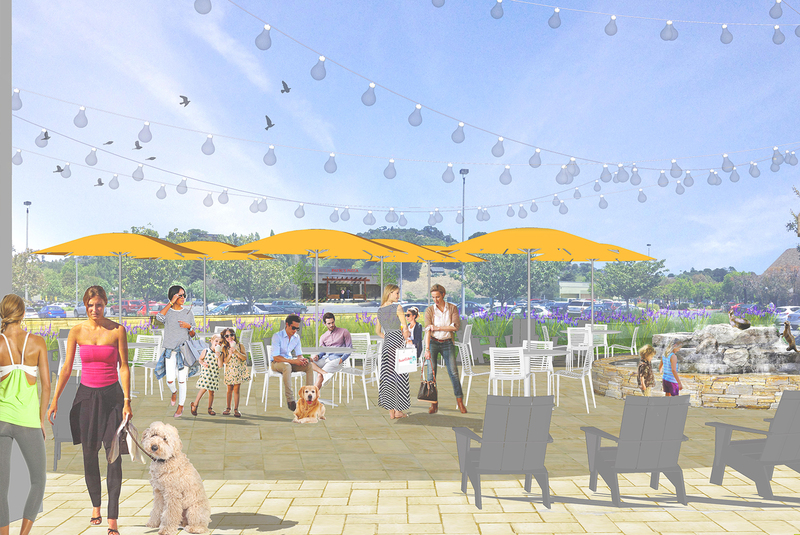 New event spaces, fire pits, and a bocce court allow for community engagement while enhancing the barrier between auto traffic and the center. 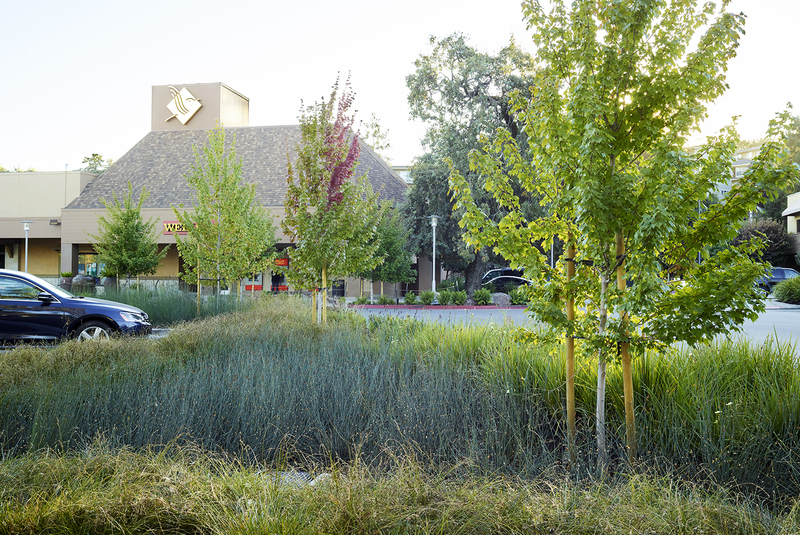 Updating light features and improving crosswalk visibility all assist in making the site safer and more user friendly.